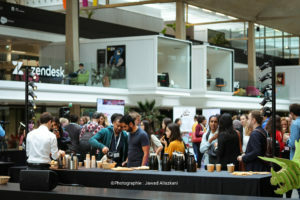 The Techfugees Global Summit 2018 took place at Station F (the world’s biggest startup campus) in Paris last October 25-26th. More than 500 attendees, one out of four being a refugee, coming from 53 countries came together to share their experience in building #tech4refugees through talks, workshops, networking and pitches. #TFAustralia: Looking back on the Techfugees Australia hackathon in Blacktown#TFSummit18: (re)watch the videos!